So you want to improve the mental aspect of your game? Welcome. A winning tennis mind can be achieved by anyone, but like everything in tennis, it takes practice. Have you noticed that good players are almost equal in physical, technical and tactical abilities? Yet only a few of them are winners. In tennis, mastery of the mind is the crucial factor that tips the balance in favor of the winner. For, as Pete Sampras used to say: "You need the game, you need the heart, and you need the mind." Everyone who ever played the game of tennis has experienced psychological problems. Even just practicing or learning to play involves certain mental challenges. But tennis competition is hardest on the mind. I've been through the lengthy process of learning the hard way through losses and wins, and I have also been a tennis coach and a mental training coach for the last 10 years. Through this website I offer you my experience and my expertise in this game. I've found a way to freedom in tennis competition and am happy to share that with you. There are many reasons why tennis is so mentally challenging. Therefore, to play winning tennis, your knowledge must be broad and thorough. Tennismindgame.com offers you a wealth of free information on different aspects of the game. How to deal with any mentally challenging situation during the match and achieve mental mastery in tennis! Read on to discover mental tennis tips that make your mind your best ally. Start winning matches against players you have never beaten before! 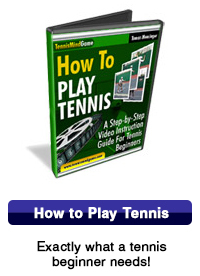 The only way to quickly improve your tennis is to play a smarter tactical game. Tennis instruction online has one major deficit compared to instruction on court: it's a one-way street. 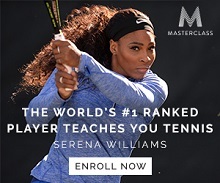 That is why Tennismindgame.com now provides you with instruction videos for beginners as well as advanced players. Tennis drills here will improve your mental abilities – concentration, perseverance, emotion control and so on. They have other benefits too which you'll discover when you start practicing them. Tennis strategy and tactics are often overlooked parts of the game. You'll learn how tennis tactics and strategy enable to you win matches against the so called "better" opponents. This section is about those professional tennis players who have been the so called mental winners at least in my opinion. What can you learn from them? Si Usted desea aprender tenis, esta completa guía de videos para principiantes de tenis le ensenará de manera simple y eficaz cómo jugar desda la línea de fondo, en la red, y cómo servir y devolver.